Three members of our professional engineering team have worked within local authorities which gives us an exceptional ability to recognise and understand the various needs of urban and rural communities. We are well connected with local authorities and the Water Corporation and have established strong professional relationships with senior officers which ensures any issues are resolved promptly. We can provide the resources to assist municipal and public sector clients either with their routine needs or with the complete engineering, planning and management services necessary to successfully complete major capital projects. 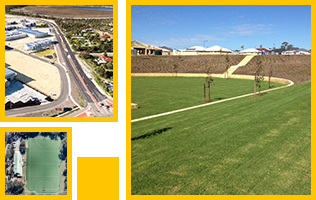 We also provide technical public works engineering advice on an ongoing basis to the Shires of Boddington, Chittering, Gingin, Jerramungup, Peppermint Grove, Serpentine Jarrahdale and the Town of Cambridge.